World of Warcraft fans might be gearing up for the release of Battle for Azeroth, the long-running MMOs seventh expansion, but they might not have noticed that Blizzard’s flagship game just passed a major milestone of its very own. World of Warcraft has now been live for more than 5,000 days. The MMO was first released on November 23, 2004. That’s a little under 14 years ago, but if you’re looking for a more accurate (or momentous) measurement, then yesterday (August 2, 2018) marked the 5,000th day that Blizzard’s MMO has been playable, which is pretty good going. Of course, the history of World of Warcraft is not the whole story. If you were to add the original Warcraft games to that total, the franchise’s stretches to 8,650 days. The first title in the series, Warcraft: Orcs & Humans, released exactly ten years before World of Warcraft, on November 23, 1994 (that date made any extra maths I’d have to do in figuring out the details of this story extremely easy, for which I am very grateful). Despite that long history, right now would appear to be one of the most controversial periods in all of Warcraft. Not only are we having to live through the Burning of Teldrassil (a city which, as someone on Twitter pointed out, only made it to day 4,998), but the entire Horde looks like it could be about to tear itself apart thanks to the latest Battle for Azeroth cinematic, Old Soldier. You can check that video out below. 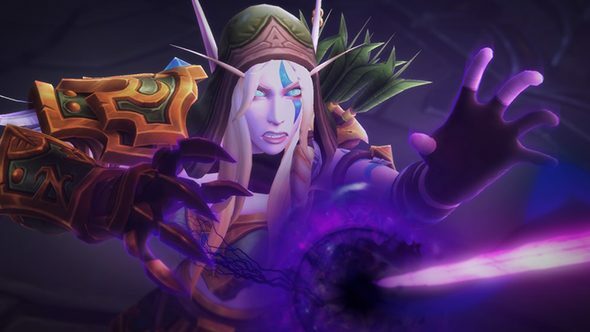 The Battle for Azeroth release date is August 14, so you’ll only have to wait 11 more days to get your hands on it. My sources tell me that’s a much lower number than 5,000, which I presume is good news.